Five years ago, if we had played the word association game, and I had given you the term “food truck”, some plausible response words might have been: “dirty”, “cheap”, “tacos”, and “Oh-god-no-I-would-never!” While the food truck movement has been alive and kicking for some time now in New York and L.A., it wasn’t until Off the Grid was born in 2010, that San Francisco started to rethink our perception of food trucks and seriously explore the potential of these efficient little restaurants on wheels. 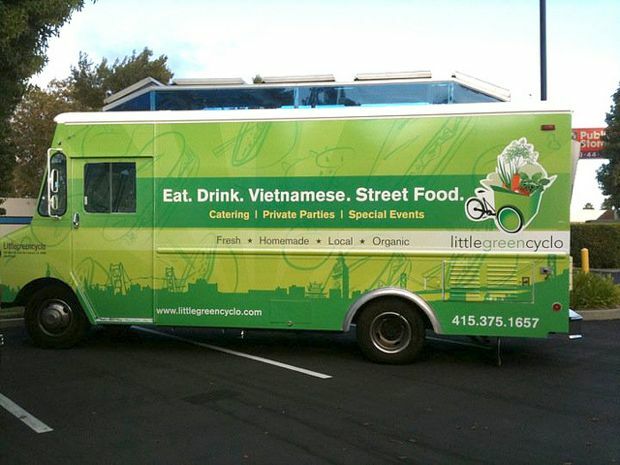 Inspired by the experience of strolling through the night markets of Asia, Off the Grid brings together mobile food vendors and local communities by holding weekly markets across the Bay Area. Today, Off the Grid operates 15 weekly markets and works with over 100 vendors every week. The first and largest of these weekly markets is located at Fort Mason in San Francisco. 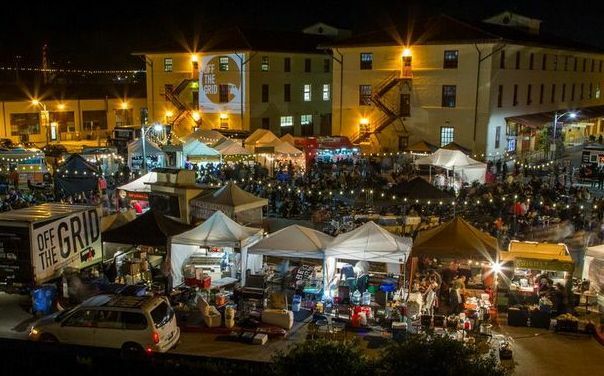 Set right on the bay, Off the Grid Fort Mason takes place every Friday night from 5 – 10pm and boasts over 30 innovative food vendors, 4 bars, live music, and more. For any first-timers, the Off the Grid experience is at once exhilarating and wholly overwhelming. Korean tacos, mac and cheese filled eggrolls, Rice Krispies fried chicken sandwiches, the possibilities are endless and intriguing. Having now frequented the event more times that I could probably count on 4 hands, here are my top 4 recommendations of trucks that are not to be missed on your first visit. 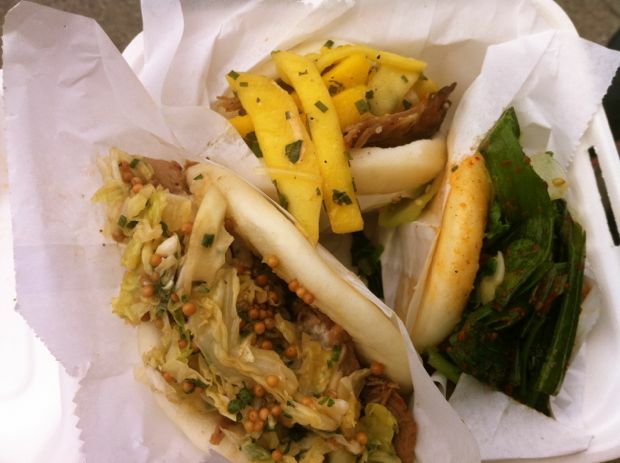 A fresh take on traditional Chinese pork buns, The Chairman Truck is one of the most popular trucks in San Francisco. Steamed buns come in taco-like pillows of goodness while baked buns come in a larger hamburger-shaped form. Where The Chairman Truck really excels is in its fillings, from duck confit with papaya, to pork belly with mango, to red sesame chicken, these little pockets are insanely addicting. While you will have to brave a 20-30 minute line to get your hands on these, The Chairman Truck’s buns are a must for first-timers. 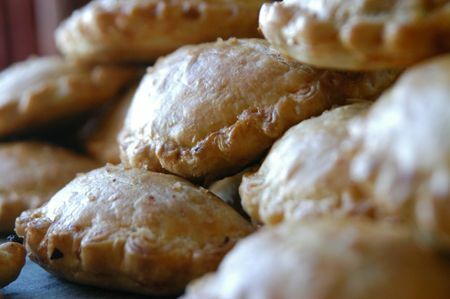 El Porteno serves up a wide variety of handmade traditional Argentinian empanadas. Their flaky crust encloses sweet and savory fillings ranging from chicken with chorizo, raisins, and olives, to banana with dulce de leche. As a bonus, the empanadas are quick to serve, so there’s rarely a line. Garlic noodles with truffle oil topped with tamarind prawns, Nieman Ranch shaken beef, grilled five-spice chicken, or lemongrass tofu. It is the best carton of noodles that you might ever have. Period. 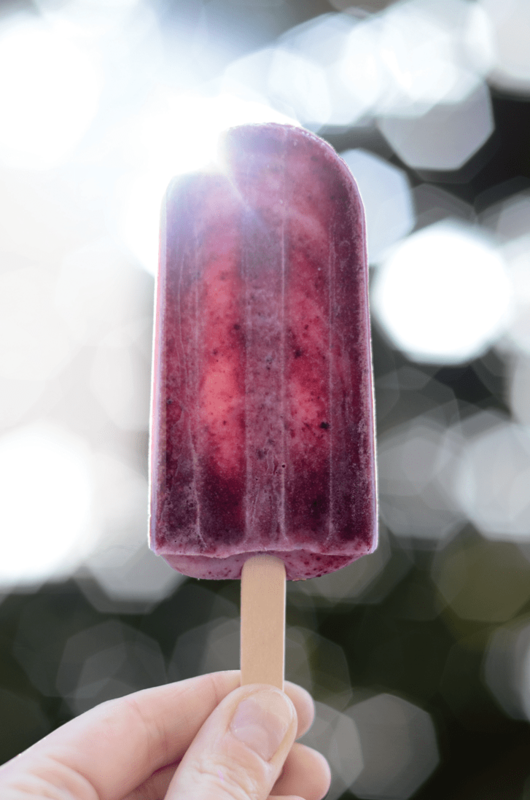 Of course, you can’t leave Off the Grid without a deliciously inventive dessert! Fat Face is probably the most exciting dessert truck out there, with popsicles in such imaginative flavors as Thai iced tea, mango with sticky rice, Arnold Palmer, red velvet, and even chicken and waffle(!). This entry was posted in Do, San Francisco, Taste and tagged el porteno, empanadas, fat face, food, food trucks, fort mason, garlic noodles, little green cyclo, off the grid, off the grid fort mason, popsicle, steamed buns, the chairman truck.